Every organization has employees who fail to satisfy performance expectations. Research shows that the cost these poor performers exact on an organization exceeds the benefits of employing a high performer. For that reason President Trump’s executive order streamlining removal procedures is on target and fully justified. However, the new policy should also prompt attention to badly needed reform of the practices contributing to the problem. It’s important to appreciate that employees who start their careers expecting to be failures are very rare. There are a number of possible reasons for failure and most are not the fault of the employee. The roots of this problem are deeply embedded in the history of civil service and in government’s workforce management philosophy. Terminating a few employees is analogous to digging out weeds in a garden of roses. A core failure that’s been cited in studies going back at least two decades is that agencies do not provide adequate supervisor training and retraining. The problem is compounded when agencies conclude that a newly promoted supervisor is not up to the job. To avoid the “uncomfortable situation” of continuing to work with someone they have deemed unsuccessful, agencies reportedly instead leave the individual in his or her supervisory job. So the problems continue to fester. Added to that is that it’s still apparently common for promotions to supervisory positions to be based more on technical skills and seniority than on the interpersonal skills needed to be effective in the new role. Then when they are in the new role, too often they are not provided adequate feedback on strengths and weaknesses, and of course the best supervisors and managers are typically not recognized and rewarded. Further, agencies have failed to provide performance systems that focus on the competencies associated with effective supervision. There is no excuse for allowing this to continue. The same problems affect individual performance at every level, from the Senior Executive Service to the onboarding of new hires. Everyone needs and benefits from ongoing training. Reports on Millennials show adequate training is a priority in their job search. Furthermore, hiring or promoting the wrong person is costly both for the individual and their co-workers. It’s a mistake to hold an employee accountable for poor performance when he or she does not fit the job, either because of job skills or temperament. Lawyers argue that before a poor performer is terminated, employers should review and confirm the adequacy of the following practices, as outlined in employment law articles. Communication of expectations: Each employee needs to understand what they are expected to accomplish. It’s not simply what constitutes acceptable performance but also should specify minimally acceptable performance. The courts want to see current job documentation. Training: New hires and existing employees need adequate training to insure they have opportunities to develop requisite skills as they progress up their career ladder. Periodic review of expectations: In today’s environment, performance expectations should be reviewed periodically throughout the year. As the year unfolds, it’s likely that changing circumstances will require managers to redefine goals. That’s completely appropriate. Scheduled reviews: Employees need to understand the review cycle. Informal feedback is appropriate at any time. The year-end review should be formal and face to face. Identification of unsatisfactory performance: Unsatisfactory performance needs to be clearly communicated along with guidance on what’s needed. The communication should be in writing. Performance improvement plan: Employees who need to show improved performance need adequate time to do so. The PIP should clearly let the employee know what’s expected. Handled by the book, poor performing employees will not have grounds for an appeal. Additionally, my experience confirms the importance of reviewing ratings for bias or discrimination. 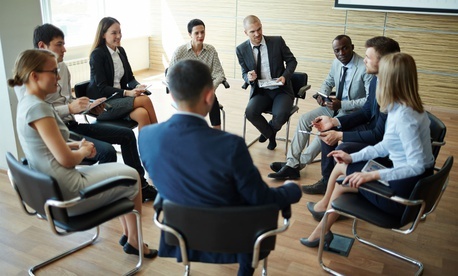 It’s also advantageous to adopt a practice increasingly common in business referred to as a calibration committee where managers explain and defend at least the high and low ratings in meetings with their peers. Employees need the assurance they will be treated fairly. But even when an employer adopts best practices and commits to making performance management a priority, there will be failures. It’s much easier to manage problem employees in the private sector. Unfortunately in government performance management is the weakest of all HR practices. It should be a priority but rarely is. It’s essential when agencies need to improve results. When the same performance dimensions are used with both employees and supervisors, it’s clearly a problem. Adding “supervision” to the list of dimensions is not the answer. The weakness is all too obvious when the distribution of ratings is posted. It’s simply not credible that 80 or 90 percent of a group are outstanding. That’s true at every level, including the SES. No corporation would allow it to continue. Gallup’s engagement surveys and their Q12 survey questions highlight the importance of managers and their working relationships with staff. The first question is: “Do you know what is expected of you at work?” All but a couple of the questions relate to the management of performance. Highlighting a related issue, Stephen Shih, deputy associate director of the Office of Personnel Management, posted a recent column on the OPM Director’s Blog, “Inspiring Change through Employee Engagement.” There has been a lot written about creating an inspiring work environment. It’s worth pointing out that creating one rides on effective day to day supervision. A fundamental step is identifying and promoting those individuals who have the promise to be effective supervisors and providing adequate training and support. In the decades since the SES was created, the role of managers and supervisors has had far too little attention. Another step that might be resisted by managers but is increasingly used in other sectors is inviting employees to assess the performance of their boss as well as other job issues hampering their performance. The first year may be unsettling but the feedback will enhance career prospects. Improved performance management practices will become even more important if the Administration follows through with the plan to move to pay for performance. (I strongly support the change.) Then it will be essential to make year-end ratings defensible. Firing a few employees is no doubt warranted but it’s the wrong focus. A thread that is common to all the ‘best places to work’ is that in a positive, challenging work environment people will respond and commit to performing at surprisingly high levels. Everyone would benefit, including the public, if government invested in creating a work experience where employees are committed to doing their best.